Courtesy of Garry Brace: Interfor will be logging in the vicinity of the Roche Lake climbing area for the first 3 weeks of May, 2012. They would prefer that people not climb at the crag from Mon. to Fri. until after 4:00pm. There are no restrictions on Sat. or Sun. If you do decide to climb during the day on a weekday be aware that you’ll be sharing the road with logging trucks and equipment. BE CAREFUL! Updates will be posted as we receive them from Interfor. UPDATE (May 21, 2012) — Interfor operations will be commencing in the Bleeker Lake area on Tuesday May 22nd. The blocks near the Roche Lake climbing area will be the first blocks logged. 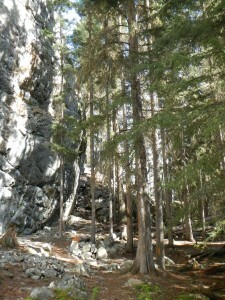 The climbing area itself is within a Recreation Reserve. 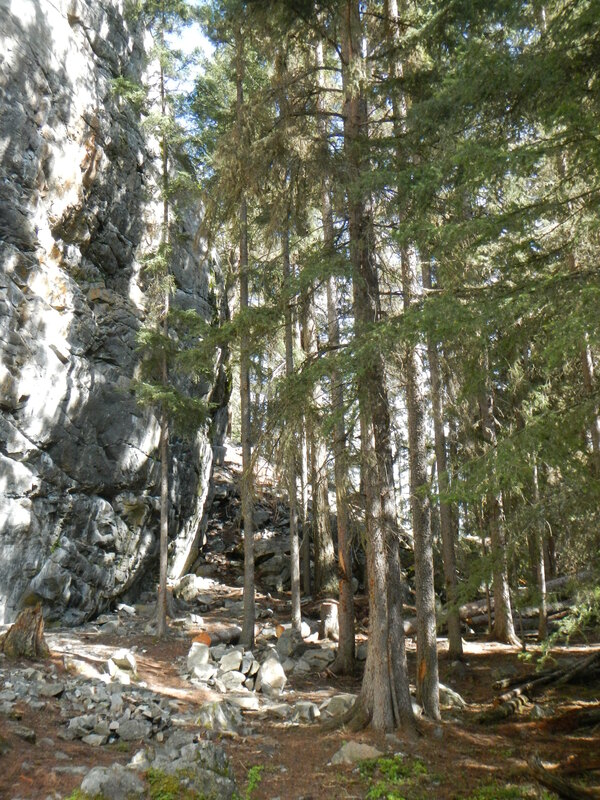 As discussed at the last Kamloops Climbers Access Fund meeting, a buffer has been left around the crag, and as such the immediate climbing area should not be impacted. – Drive with extreme caution – you may meet a loaded logging truck at any time! – Respect all signage along the roads and DO NOT enter any active sites without communication with the operators. – Park well off the road so as not to impede traffic, or limit roadwork. An update will be posted when the blocks near the climbing area have been completed. Please contact Rhiannon Poupard (205-679-6818 rhiannon.poupard@interfor.com ) if you have any questions. The active logging on the blocks beside the climbing area has been completed. – Log hauling has not yet started, and we don’t expect it to start for another couple of weeks (July 1st). – For the next two weeks it will be quieter near the crag as the logging crews work in other blocks closer to Bleeker Lake. – Starting July 1st please remember to use a very high level of caution when driving up during the week before 4pm, and if at all possible climb evenings and weekends instead. – The road is still in rough shape at the moment but it will be graded prior to hauling (ie. in the next couple of weeks) and then tidied up again when all operations are complete. – I went up there to see how things look from the crag and the immediate climbing area doesn’t look or feel any different. The only change is that a bit more light is coming through the trees beside Trials and Juice (see photo). Where you will notice a difference is on the drive up, however I think the loggers did a good job, and overall the blocks look pretty good.